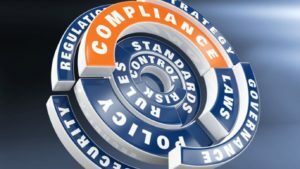 An article at Banking Exchange takes an interesting look at the often uneasy relationship between financial technology organizations vs. the Fintech market covering the hot topic of compliance management. Instruments like the expanded UDAAP standards implemented by the Consumer Financial Protection Bureau need to be at the forefront. Fintech should be helping banks, but there is a natural competition when Fintech is looking for faster market adoption, while many banks prefer a “steady as she goes” approach. Compliance in check processing is always a consideration as well. New controls are now available to enhance bank protections in traditional workflows via new technologies and techniques for data extraction. By implementing new approaches, banks can now limit their risk and expand coverage in all kinds of areas ranging from OFAC, AML, Reg CC, and KYC. One thing is for sure – – compliance is not going away.